Dress up a simple meal. 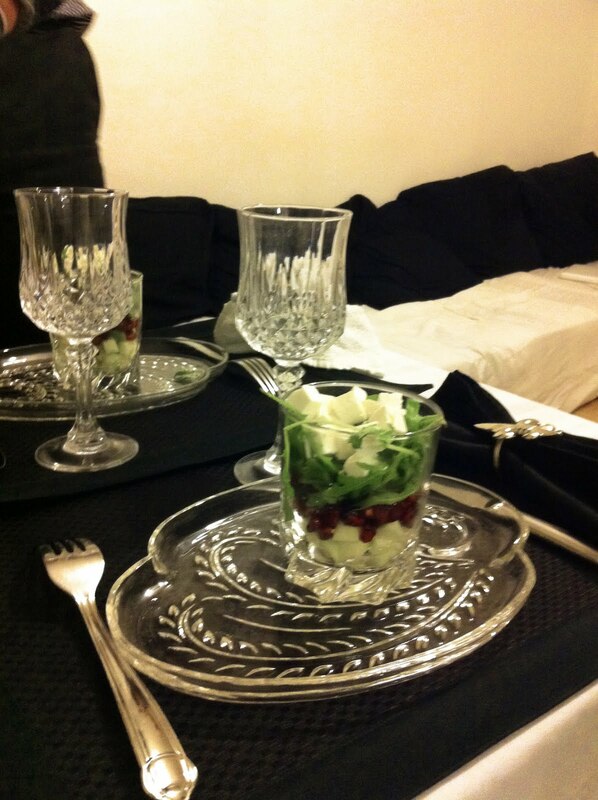 Serve your drinks in stemware and serve your salad in your juice glasses. Why not? Set out the nice tablecloth you rarely use and suddenly excitement will be teeming through your veins! Slice off the end at the navel. Immerse the fruit in a bowl of water. Gently peel the tough skin off revealing the fragile fruit. 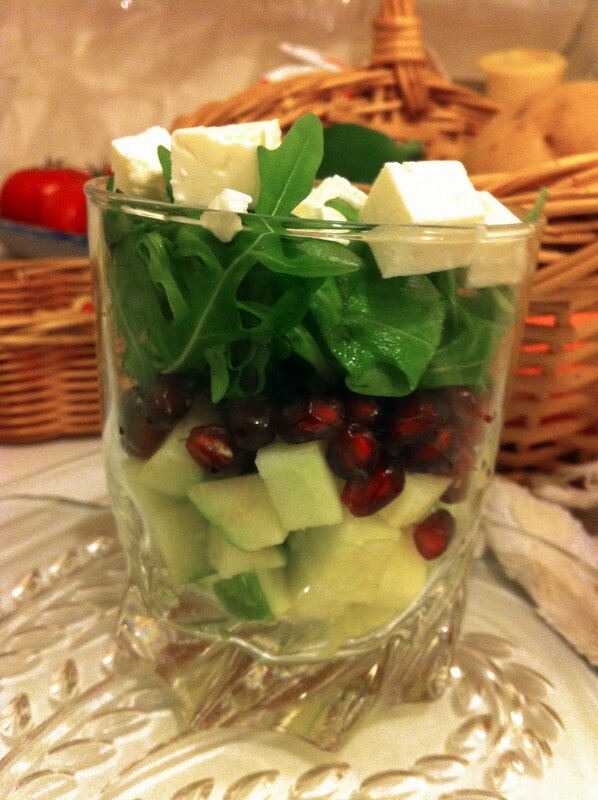 Harvest the unblemished fruit jewels for your salad. Eat any nicked jewels immediately. 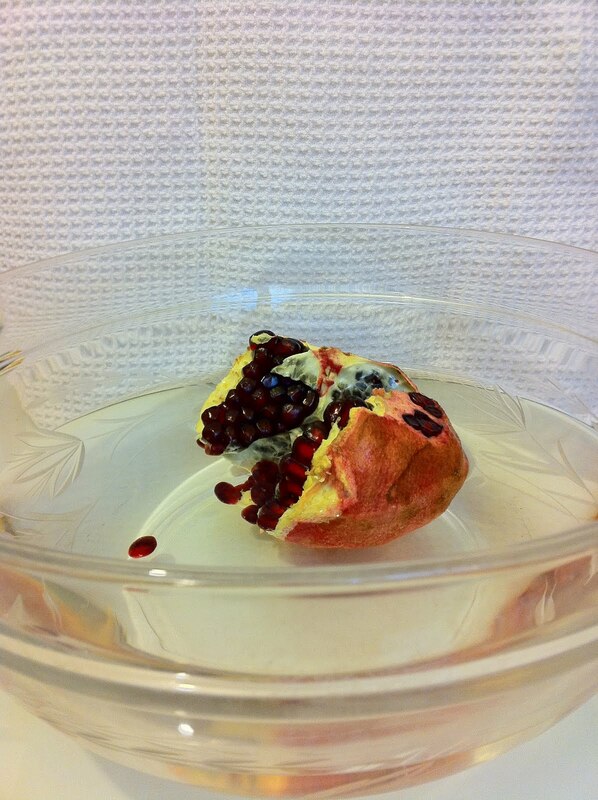 Store unblemished fruit jewels for several days in a sealed container in the fridge. Looks yummy, friend (and pretty too)! Please let me know when you're back in town. We'd love to have you guys over.